NEW YORK (AP) — Even the "Most Interesting Man in the World" is not immune to getting dumped. Mexican beer brand Dos Equis is letting go of its gray-haired spokesman, 77-year-old Jonathan Goldsmith, and replacing him with another actor. 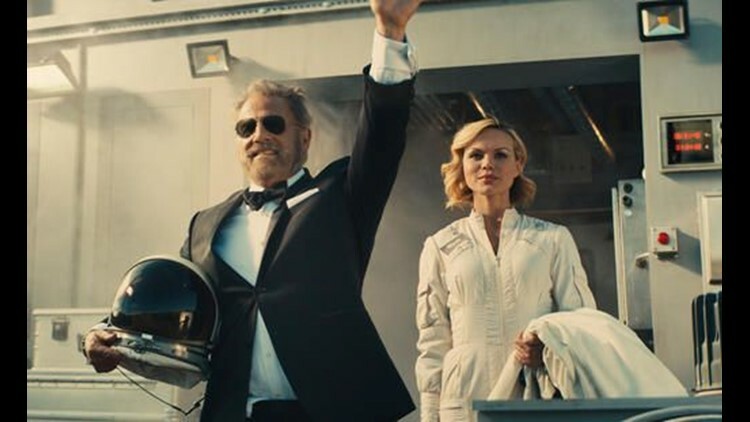 Goldsmith, known in the ads as the "Most Interesting Man in the World," has been appearing in Dos Equis commercials for about nine years. He's usually seen sitting at a table with a group of women before uttering the beer's slogan, "Stay thirsty, my friends." Dos Equis is making the change to attract new drinkers, said Andrew Katz, the brand's vice president of marketing. Dos Equis, owned by Amsterdam-based Heineken, said sales of the brand have nearly tripled since the ads began airing in 2007. A new "Most Interesting Man in the World" will appear in commercials later this year. A replacement has been chosen, but Katz declined to say who it is. Goldsmith is not crying in his beer over the change. "I feel terrific, I really do," Goldsmith said in an interview with The Associated Press. "I've had a great time in the last 10 years." The ending of the Dos Equis relationship means he can consider TV offers and other ad opportunities, he said. Fans of the ads approach him all the time. "It's overwhelming recognition," said Goldsmith. "I would be literally mobbed." In his last Dos Equis commercial , Goldsmith is shipped off in a rocket on a one-way trip to Mars. He says, "Stay thirsty, my friends," for the last time as the rocket takes off. Some brands have had a hard time getting rid of beloved pitchmen. Four years ago, travel website Priceline.com tried to kill off the Negotiator, played by actor William Shatner, in a fiery bus crash during a TV spot. But Shatner returned to the role just months later. Goldsmith's space odyssey is more permanent, Katz said. "It's a one-way mission."